If you've got any records to sell you think we'd like, give us a call on 0116 2885788 or email us at info@knightonmusicgroup.co.uk. In jazz we are looking for nice copies of Blue Note (especially original 'Lexington Avenue') LPs, certain Riverside, Prestige, Atlantic etc. 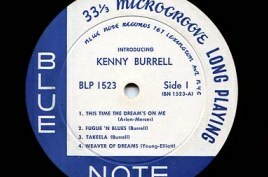 Also British jazz vinyls by Tubby Hayes, Jazz Couriers, Stan Tracey, Don Rendell/ Ian Carr etc. We will pay good prices for records in good condition on Fontana, Tempo and Columbia Lansdowne labels. Please get in touch if you have any of these to sell. We also deal in popular music, country and folk. We will consider early Beatles pressings, Stones etc but generally not records of the 1980s onwards. Some 78s are of interest, particularly later 1950s, rock n'roll, vocalists and so on. Knighton Music is always interested in buying certain records and CDs if in good condition. 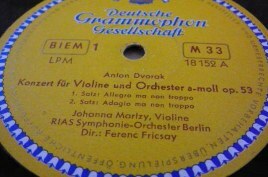 We deal in all kinds of music but we are particularly interested in certain classical and jazz recordings on vinyl LPs. 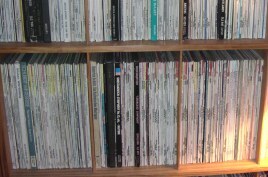 In classical we are always wanting good, clean copies of early Decca stereo LPs (SXL), Columbia (SAX) & HMV (ASD). Certain mono records are also sought including early HMV (ALP, BLP etc), Deutsche Grammophon (DGM) & Columbia (33CX). Of particular interest to us are recordings featuring violinists and pianists like Johanna Martzy, David Oistrakh, Wilhelm Backhaus, Leonid Kogan, Ida Haendel & Nathan Milstein. We'll generally consider all classical records from the 1950s up to the mid-1960s.